GNIEZNO, Poland (CNS) — Poland’s Catholic primate said Pope Francis has not broken from the teachings of St. John Paul II and that the Latin American pontiff understands “pastoral realities” as he reshapes the church’s evangelical outreach. 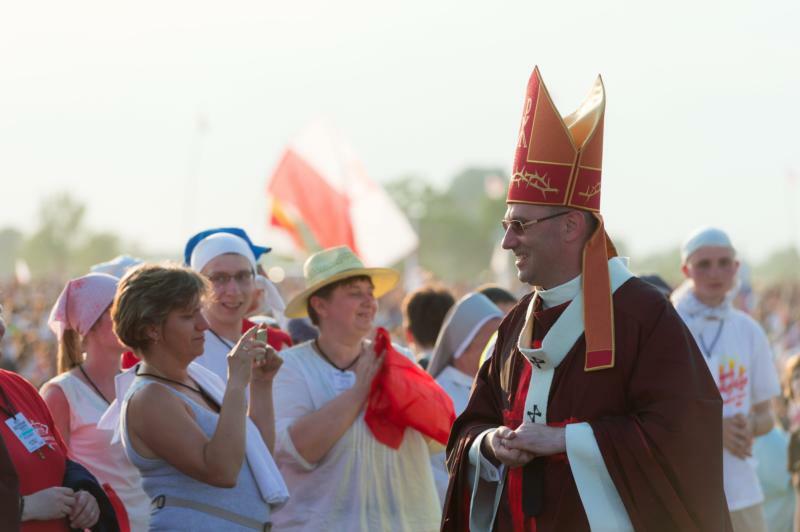 In light of the pope’s efforts, the Polish bishops have a duty to recall Christian values often forgotten by the rest of the church, and to “adjust” the teachings of Pope Francis to fit their own pastoral programs, Archbishop Wojciech Polak of Gniezno told Catholic News Service. “We are showing faithfulness to what our church has always proclaimed, latterly under St. John Paul II, and recalling that solutions must be sought to current problems with a deep awareness of who we are as believers,” he added. The church in Poland makes up at least 90 percent of the population of 38 million and accounts for a quarter of all priestly vocations in Europe, although seminary admissions and church attendance have fallen during the last decade. “No Polish priest would be scandalized by the Holy Father’s appeal for us to grant baptism to people living in irregular relationships, for how can a child be blamed for this?” said the prelate, who served as secretary-general of Poland’s bishops’ conference from 2011 to 2014. He said the Polish church’s key responsibility was to preserve and “learn ever more deeply” the teachings of St. John Paul. An international congress will be held in Gniezno March 11-13 to set out the Polish church’s “Christian vision for Europe” and apply the “culture-building power of Christianity” to church-state relations, he added.